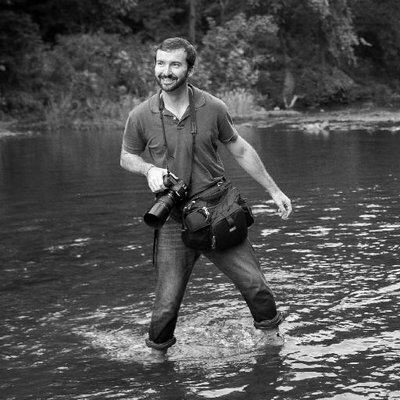 “Durham is unrecognizable,” states Justin Cook, about his home in North Carolina. Indeed, the forces of gentrification are well underway. Case in point: A report by the local newspaper the Herald Sun revealed that in some neighbourhoods, the median house value has increased 25 per cent between 2010 and 2016, forcing many people out of their homes. As a result, two cities have emerged. One where old tobacco factories have become bars, lofts and creative businesses and another that continues to grapple with endemic poverty. The first continues to expand its reach, organizing festivals on the theme of “Marry Durham” where residents dressed to the nines pledge their love and commitment to the city through a mock wedding ceremony while pushing the low-income population, mainly African-American families, into tighter and tighter quarters further aggravating their plight. Tellingly, one picture shows an empty 20-acre property, which used to be home to Fayette Place, a public housing project that was home to 200 families. The property had been bought by a developer promising to turn it into residences for university students. “There are no silver spoons, no jobs, but plenty of guns. And young black men are adrift and afraid. So they sell drugs to numb the pain of poverty, and they release their anger by annihilating each other in the streets. In this Durham, homicide is the fruit of poverty and the leading cause of death for black men in their prime. Their murders go unsolved and their mothers grieve to death; their children grow up without fathers and wander toward the same fate. One bullet tears through a generation,” wrote Cook when he presented his project. 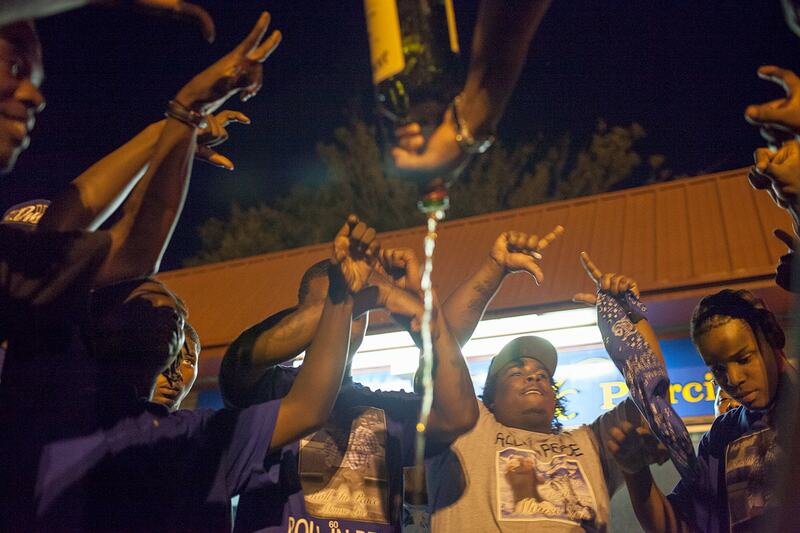 Young men who identify as Crips gather in a circle and spill liquor to mourn Maurice Streeter, who was shot and killed in April 2013. 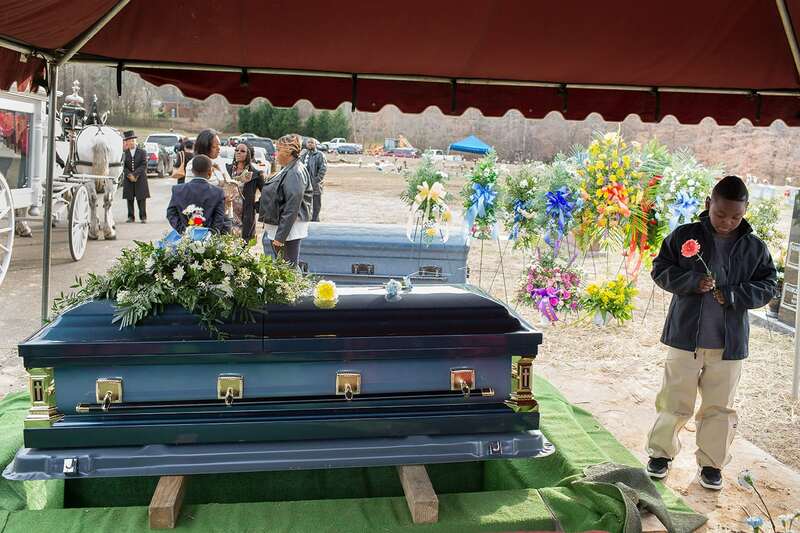 Kalin Swinney pauses by the casket of his first cousin, 9-year-old Jaeden Sharpe, at Beechwood Cemetery. Jaeden was shot in the head and his mother, in the face, as they sat in her car near their home on Jan. 4, 2014. He died Jan. 9. His murder was the first of 2014 in Durham. 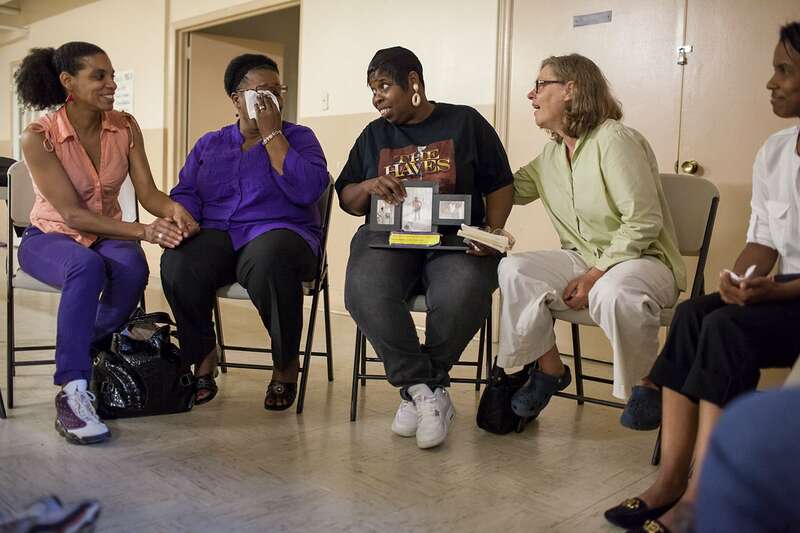 Community is formed from grief as mothers laugh and weep and remember their murdered children during a Circle of Hope and Healing, held by The Religious Coalition for a Nonviolent Durham. His observations are supported by devastating statistics. According to a U.S. Department of Justice statement, between 2009 to 2012, Durham’s homicide rate for black males age 15 to 34 was about eight times the national rate. Seventy-three per cent of the victims were black; three per cent were white. Add to that the number of aggravated assaults with firearm, which Cook believes are seldom discussed because “homicide rates are sexier.” But for those who are maimed for life, the economic and healthcare costs for individuals are deep and damaging, which in turn impacts the well-being of the whole neighbourhood. “Violence is a symptom,” notes Cook, who turned his lens toward the impact it is having on the whole community. He began by riding along with the Durham Police Department’s Gang Resistance Unit. This eventually led him to meet the likes of Joslin Simm who lost her son Rayburn to gun violence on May 21, 2005; Rashard Johnson, a former gang member; Allen, a minister who doubles as a mortician, and his son Tyrone, a former drug dealer. These ongoing relationships helped him see the many layers at play and resist judgment. He’s seen them on their worst and their best days, when despair struck as well as when hope shined through the cracks. “The biggest point I wanted to make was that there aren’t any pathologies within these communities. Rather, conditions were created to place them in this situation. Durham was founded after the Civil War and its economy steeped in the production of tobacco, itself dependent on the exploitation of black bodies and segregation. 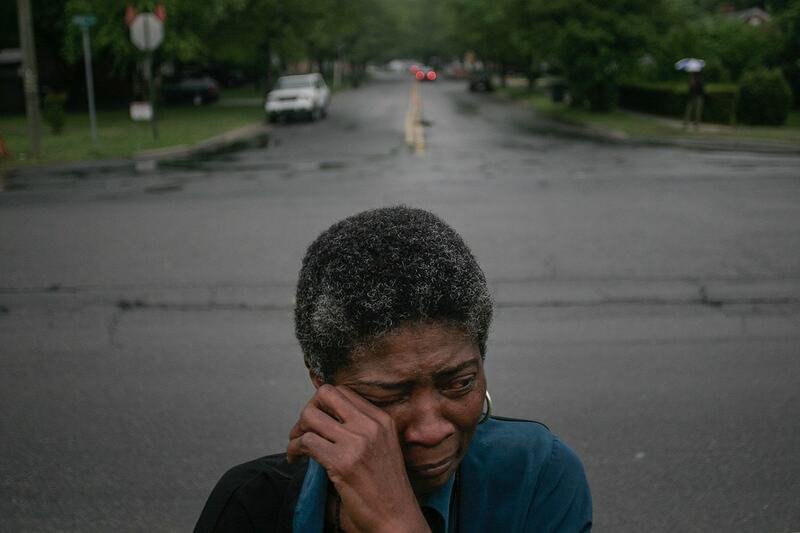 You can still see the effects of that industry lingering today.” That legacy coupled with destructive urban plans—a freeway built in the 1970s effectively divided a thriving African-American neighbourhood—and ongoing national systemic racism continue to undermine the efforts of these populations to better their lot. A Durham Police Department Selective Enforcement Team officer escorts a child to the bathroom after a drug raid. His mother was detained during the search in the house and was unable to tend to him. How can photographers speak of endemic violence and poverty without chastising those who are at the heart of it? 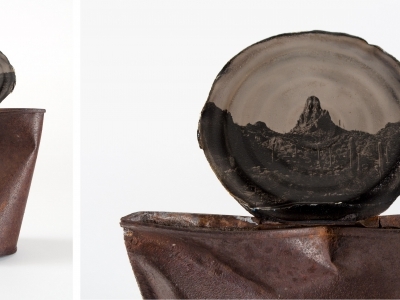 Justin Cook is a photographer because he believes that relationships foster a deliberate life. Relationships are the core of intimate storytelling. 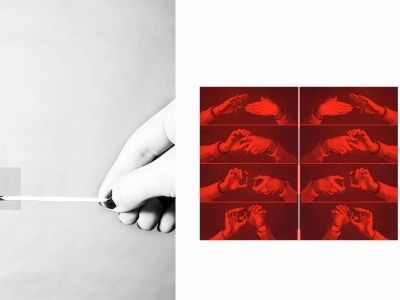 He documents issues that shape the American experience and works with editorial and commercial clients. If he doesn’t have a near-impossible task to tackle, he’s bound to lose his mind. Otherwise, you can find him reading about astrophysics, writing in the first person or Instagramming his cats at #sprickers.